“Three men have been arrested on suspicion of kidnap and murder after the death of a Leicester jeweller. 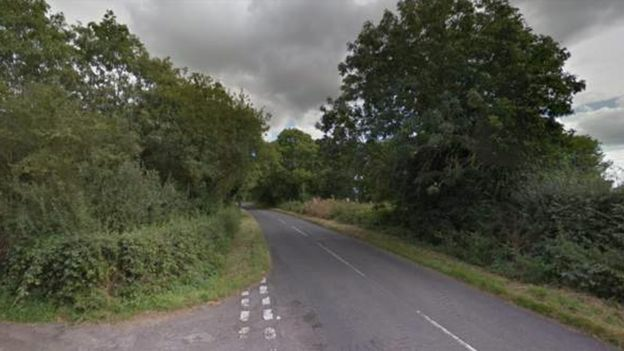 Ramniklal Jogiya was discovered in Gaulby Lane, Stoughton, at about 10:00 GMT on Thursday. Three men, aged 19, 20 and 23, and all from Leicester, have been arrested and remain in custody. 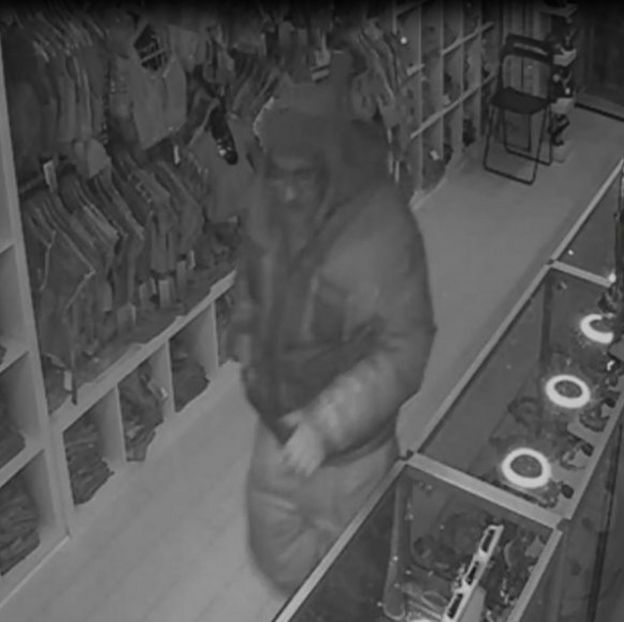 Leicestershire Police said they believed Mr Jogiya was “taken against his will” after a break-in at his shop on Belgrave Road on Wednesday. 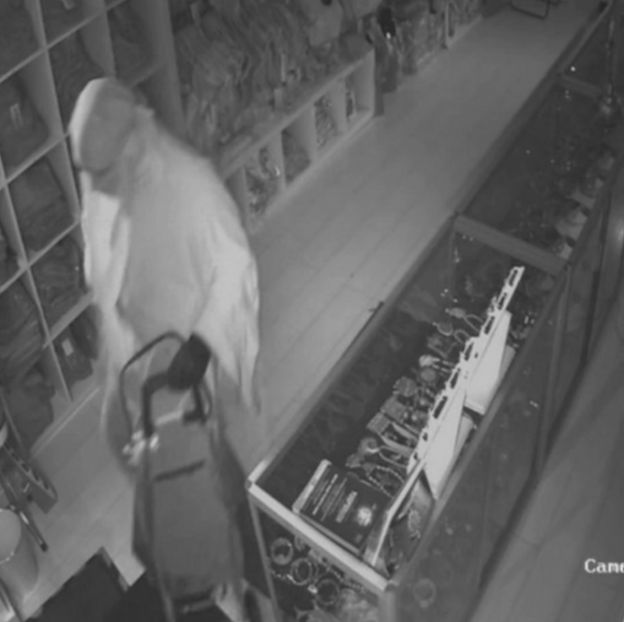 Police have also released a CCTV image of a person seen pulling a shopping trolley and wearing a burkha in the shop just minutes after Mr Jogiya locked up on Wednesday evening. Det Ch Insp David Swift-Rollinson said: “Whoever that is seen on CCTV entering the jewellers a short while after Mr Jogiya had locked up and left, is clearly someone I need to identify quickly. 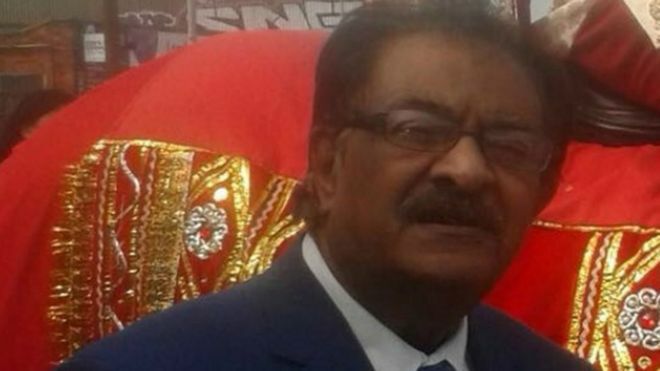 He said Mr Jogiya, who was reported missing after failing to return home from work on Wednesday, had suffered severe injuries in a “savage and heartbreaking” attack. A post-mortem examination has been carried out but further tests were being conducted to “absolutely establish the cause of death”, police said. Supt Shane O’Neil said “high-profile” police patrols were being carried out in the Belgrave Road area over the weekend. “The business community and local residents are understandably shocked and worried about this awful crime,” he said.